Amazing Animals — SIMPLY PETS - HAPPY lives here! Animal life is an interesting subject. It is amazing to know that there are more than 545 types of butterflies. There is also data about extinct animals and evolution in animals that shows improvement in their genetic structure. Some animal's live in a herd like the elephants, boars, wild dogs or wolves. Predators usually live in small groups. There are solitary animals like the Tasmanian devil that is carnivores and survives on any food. Marsupials are animals that carry their young ones in a pouch. They have a very small gestation period and the mother continues to feed the baby even when it is fully grown. 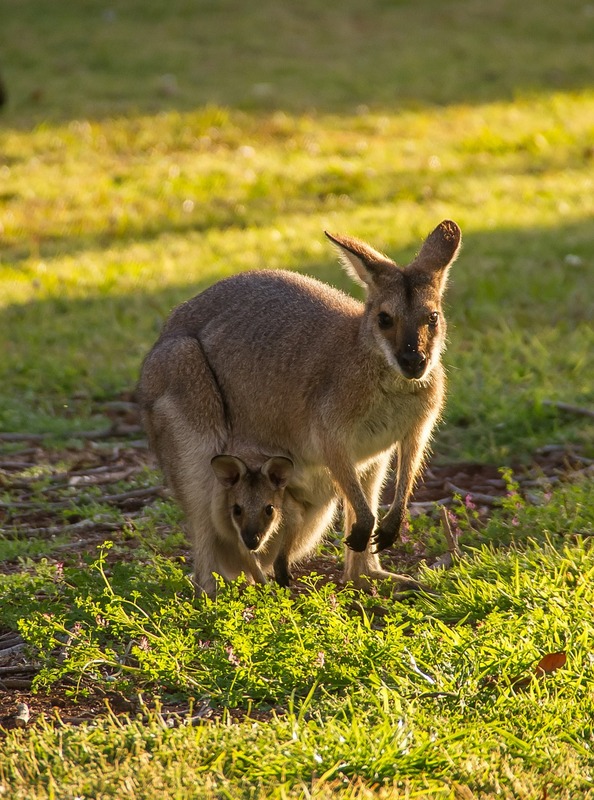 The common marsupials are the kangaroo, opossum, koala and the wallaby. The platypus is an amazing marsupial animal as it lays eggs and yet belongs to the mammal group. Terrapin which is seemingly similar to a turtle has thinner shells and webbed feet. The unique feature of a terrapin lies in the diamond shaped back. Meerkat is another amazing animal that braves the sultry tropical weather. They live in burrows and feed themselves on insects and snakes. Their burrows are similar to a labyrinth which they build with their claws as a group activity. The heart of the blue whale weighs about 600 kilograms and this is a huge animal. The humpback whale is a good singer and sings for about twenty minutes. They feed in summer and live on the conserved fat during winter. It is interesting to note that the opossum can grasp objects with its tail. Opossum has a unique way to pretend itself as being dead and hence save itself from the enemy. Almost up to thirteen babies are carried by a mother opossum in her pouch. Antelopes have specialized hooves to help them prevent from sinking in snow or mud. There are different types of antelope's like the bongs, charusingha or the Oryx. Porcupines belong to the rodent specie and are of varied types. The quills of the porcupine are used in self defense as they detach easily and remain fixed on the attacker. They are generally terrestrials but some also reside on trees. Hybrid varieties named as Zorse is the result of cross breeding between a horse mare and a male zebra. The genetic base remains equine but the physical characteristics tend to involve the two animals. So, if you want to read more facts about animals or learn some of its amazing facts then visit these links.